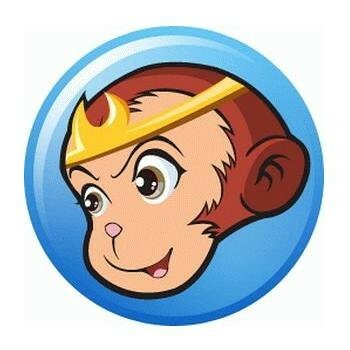 DVDFab là một phần mềm tất cả trong 1, bao gồm sao chép/ chuyển đổi và ghi DVD. Chỉ trong 1 hay 2 bước, bạn có thể sao chép bất kỳ 1 DVD nào sang DVDR/PSP/iPod, với sức mạnh của 5 chế độ sao chép từ DVD sang DVD và 3 chế độ sao chép từ DVD sang Mobile. DVDFab được viết lại, hoàn toàn mới, dựa trên 5 năm phát triển phần mềm sao chép DVD. DVDFab is the most powerful and flexible DVD copying/burning software. With 8 copy modes, you can back up any DVD to DVDR in just a few clicks.DVDFab is brand new, is completely rewritten, is based on more than 8 years of DVD copy software development.DVDFab is simply the easiest way to copy a DVD movie. Just insert the movie and a blank DVD then press Start. Your entire movie (including menus, trailers and special features) is copied to a single DVD with just one click and everything happens automatically. Backup your entire DVD (including menus, trailers and special features) onto one or multiple discs. • DVDFab "DVD to DVD" is the most powerful and flexible DVD copying/burning software. With 8 copy modes, you can backup any DVD to DVDR or hard drive in just one or a few clicks. • DVDFab "Blu-ray to Blu-ray"is the first full-featured Blu-ray copying/burning software. With 4 copy modes, you can backup Blu-ray to BD-R or hard drive in just one or a few clicks. • DVDFab "DVD to Mobile" converts DVD title to AVI/MP4/WMV/MKV files which can be played on mobile devices like iPod, PSP, ZUNE, cell phone, etc. • DVDFab "File to Mobile"converts source video file on your PC to next generation console like PS3 and Xbox 360, or mobile devices like iPod, PSP, ZUNE, cell phone, etc. • DVDFab "File Mover" option transfers converted files to mobile devices like iPod, PSP, ZUNE, etc.